Eugene Perma Laboratories have developed a range of 9 products essential to offer customers the performance halls of discoloration creative and personalized. 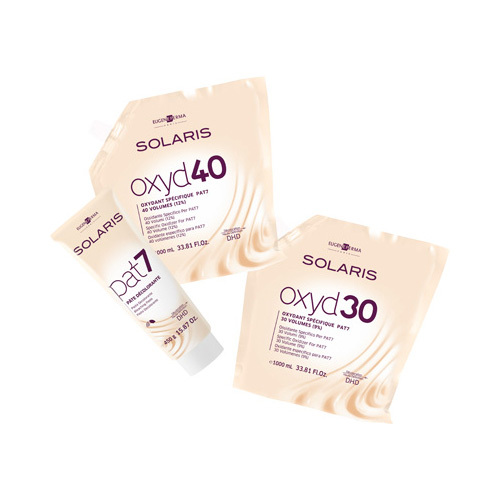 Thanks to the products of the range SOLARIS You get all the shades of lightening and excellent results, with total control of the treatment. The pleasant smell and the proposed formula have been designed to ensure maximum respect for the hair fiber and hair salon. a bleaching powder compact white, that respects the environment and health professionals and their clients. 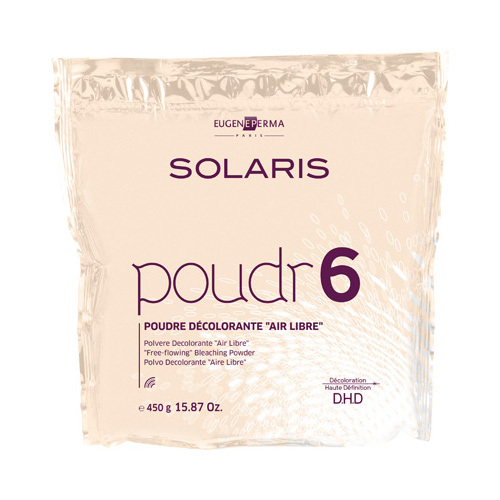 Ensuring safety d use, the pi POUDR6 not act ; in discoloration once you annoyed. Suited to the work of m & eacute ; it freehand. Mixed with OXYCREAM, is a homogeneous preparation and creamy, easy to use. way d use: 1 measuring spoon (7 g) + 15/20 ml OXYCREAM 10, 20, 30, 40 vol. Package : envelope 450 gr.